What the Healthcare C-Suite Says about Population Health? Home Medical Care What Does the Healthcare C-Suite Say about Population Health? What Does the Healthcare C-Suite Say about Population Health? For the second year in a row, 20 senior-level healthcare executives were convened at Xerox Healthcare’s Midas+ Symposium for a half-day workshop focused on population health. Attendees represented hospitals, health systems, ambulatory facilities, and other industry groups that are dedicated to improving healthcare delivery in the U.S. and abroad. Provider organizations included in the session were Centura Health, Sutter Health, IU Goshen Hospital, Providence Health, Ardent Health Services, Trinity Health, Genesis Health, Henry Ford Health, United Surgical Partners, and Christus Health. Collectively, these executives represented 35,000 beds across more than 230 hospitals. An additional 27% of respondents to the poll “agreed somewhat” with the statement, but no one disagreed. When the poll was administered last year, 81% strongly agreed and 19% somewhat agreed with the statement. “Improved health outcomes” was the top motivating factor in 2015 as well. The most important components of a population health program, from the point of view of the executives, were that the program “facilitate(s) care across the health continuum” and supports “providing the highest quality of care at the lowest cost.” The third and fourth ranked responses respectively were that the program “uses actionable insights for patient care based on a variety of data” and it “enables patient engagement.” Having a program that “targets a specific population of individuals” ranked the lowest, perhaps because, for many including myself, that is already baked into the definition of a population health management program. The highest ranked components are similar to what was found in last year’s poll. The number one ranked challenge to implementing a population health program according to the poll is “poor care coordination across providers,” up from number 3 last year. Data challenges ranked 2nd and 3rd (“data management and integration capabilities” and “creating actionable intelligence from available data”). Although many in the field point to the lack of patient engagement as a major factor in poor health outcomes, “low patient engagement” ranked the lowest on this poll for two years in a row. 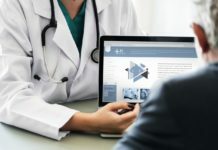 Some of the executives were optimistic when their organizations would be able to deliver a fully scaled population health management program with half saying they would be ready within 2 years. However, another third said it would take 5 years and 17% said 10 years. This is more positive than the response in 2015 when 6% of polled executives said they would not be able to deliver a fully scaled population health management (PHM) program. Another interesting difference between the two polls’ results is that this year no one felt their organization was “already there” in terms of having a PHM, but last year 16% of respondents thought they were. Although sample size is small and the cohort changes year to year, the results of the poll nevertheless highlight continued interest on the part of healthcare executives in applying the tools of population health to the patient populations for which they are responsible. It will be interesting to see how this evolves over time as the healthcare landscape shifts in response to big changes on the horizon, including ACOs and value-based reimbursement, the genomic revolution and precision medicine, technology advances, and on-demand care. This post was sponsored by Xerox Healthcare Solutions.